I don't have to do it this week. And neither do I have to organise it for next week. But sooner or later, I'll have to prepare and present a family ministry or kidmin report. And... I would imagine that you will have to, too, some time or other. So..... rather than staring blankly at the computer screen (or your tablet or notebook) and wondering how to start, why not create a mood board? A mood board is a collection of images, textures, colours and text that relate to a something in particular. It might be a project, a holiday, a room renovation.... or a children's ministry. It's a type of collage and it can be physical or digital. You may decide to create a mood board in your office or work area as a daily reminder of the tasks you wish to accomplish for the month. But, if you're planning to create a mood board as a report or review, you'll probably be looking at a digital version. A mood board helps you, and your audience, visually focus on the important events and highlights of the month/term. Each of the images on the mood board corresponds to an aspect of your children's ministry that you may wish to highlight. It has real impact as an introduction and an overview and you can add more detail if you wish or simply finish by outlining your vision for the next few months along with some points for prayer that you would appreciate in relation to your ministry and your team. 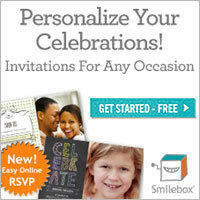 CLICK TO TWEET: "Create a kidmin mood board- a visual reminder of fun family events and meaningful ministry." So.... how do you go about creating a digital mood board? PicMonkey One of the easiest online programs to use is PicMonkey. The free version works well and gives you plenty of options. Just choose to create a collage and online helps will assist you to create a wonderful mood board illustration. You can choose how many images you want to include, the layout, background colour, rounded corners, text and much more. Check it out and give it a go. You'll probably find it's a lot of fun! You can also create a mood board layout on your iPad or tablet. I've been using Moldiv. FrameArtist is another really good app. Both images and text can be added to your collage. In fact, there are so many great apps that you may find it hard to choose. Let me know if you find one that's especially good. Another helpful option for your mood board, is to use it as your computer or iPad wallpaper. It's a great reminder of all you want to accomplish through the month or term. Use it, as well, as other means of communication with your team. Email them all a copy to highlight your plans and vision and as a note of inspiration.